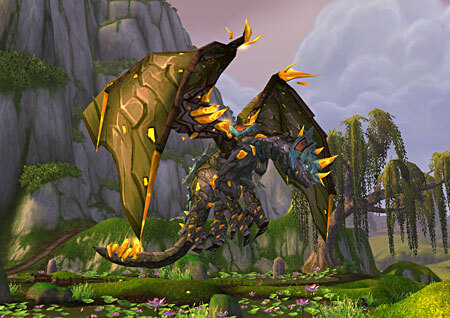 This entry was posted on January 13, 2014 at 10:56 am and is filed under Blog Azeroth Shared Topic with tags Blog Azeroth Shared Topic, Heavenly Golden Cloud Serpent, Time-Lost Proto-Drake, World of Warcraft, wow. You can follow any responses to this entry through the RSS 2.0 feed. You can leave a response, or trackback from your own site. 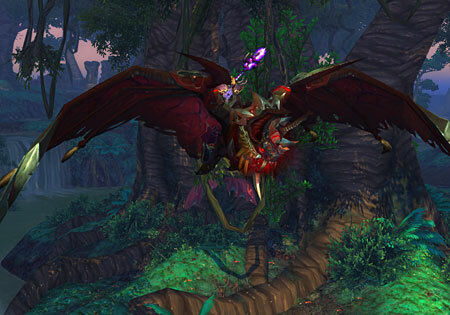 Flight form is the best way to travel 🙂 Back when I mostly played my druid I always felt bad wanting to collect mounts that I’d never use, but I loved collecting them anyways. I remember grinding out the gold for months to do the quest for it. 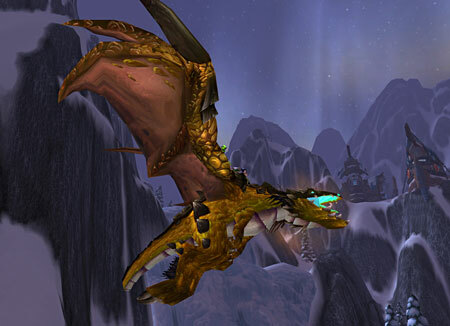 I use Time Lost Proto Drake on most of my other toons, probably just because of the effort it took to get. I rarely use them anymore, but the old school War Mounts that I got for getting a certain rank in Vanilla hold a lot of meaning still. I like the Hyppogryphs a lot too, just the way they look flying and that they can run too. I like the old ZA bear because it reminds me of all of the runs I did there. 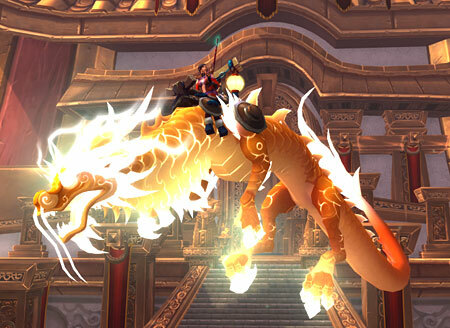 Two mounts that I thought I would really love but never ride would be, Anzu’s and Ashes. I just don’t like either’s animation. It is the best way to travel! Also handy for a lot of quests where you can complete them without even landing. Cat does like her Raven Lord but I think it’s in more of a “I had to kill that stupid Anzu around 160 times to get you so you are going to run me all over whether you like it or not” sort of way, lol. I love Hyppogryphs too. 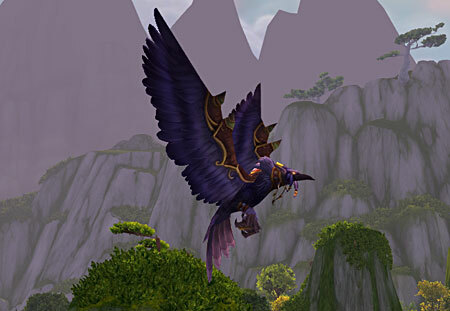 I remember being so excited when I was able to finally buy the Cenarion War Hippogryph. Bannog has the Sparkle Pony, now and then pulls out the Flameward Hippogriff, drakes of various kinds, but for galopping round the Timeless Isle, I just use the Swift Brown Steed – the very first fast pony I got. It just… looks right. Ariciel either flies everywhere on her own wings, or rides a mistsaber of some description. Griggin only uses his Dreadsteed if he wants to shout wordlessly that here is a Warlock, and what was that you called me again? Otherwise, he’s amped up his strider to the max. It’s funny, one of my Warlocks favorite things about the Timeless Isle is it gives them a chance to mount up on their Dreadsteeds which actually is there favorite land mount. No one has a Sparkle Pony, how did I miss buying that, lol. Have to check what else I’ve missed. 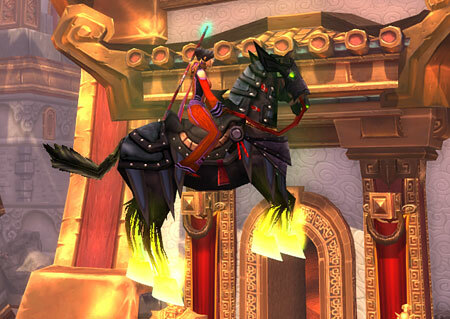 The swift mistsaber is definitely my favourite Nightelf mount and mine was my first epic mount. I never quite got my head around the appeal of those jewelcrafting mounts though. My Shaman loves hers, she did NOT love those Elekk at all. 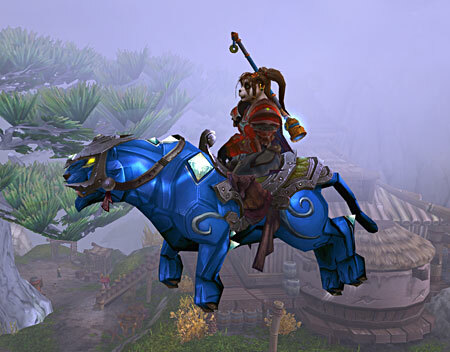 Come to think of it my Hunter also loves her Winterspring Frostsaber so I think I’m partial to riding on cats or for that matter being one, lol. 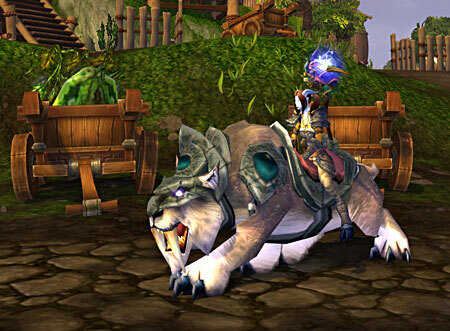 Yeah, the jewel panther mounts are pretty awesome. Made me smile seeing that one on the list. I can appreciate your Shaman. Siori was far from Darnassus from a fairly early state and as such was never a cat type of elf. She had to have a horse. To the point that she was level 42 before she had said mount because we weren’t getting the training until she was Exalted with Stormwind. Yup, Liwu won’t get off her Panther. She tries out her engineering mounts and then back she goes. Seems so long ago that you just saw people on racial mounts and riding one not your own? Hardly ever! An Elf on a horse! Shocking! Ooh what a great list you have there. I think I need to think about my own list after seeing all these posts around the place. Thanks Cym, I had no idea it would be so hard to pick just a few. Apparently I have lots of favorites! I love how you made that list for each toon! I should have made one for me too! It probably would be different, lol. Thanks Amerence! Oh! Need to put you back on the list now that I know you’re not retired!